Scientists have discovered that penguin and seabird poo (guano) from colonies around the Antarctic Peninsula has a unique spectral signature that can be identified from satellite imagery. The results are published this week in the journal Remote Sensing of Environment. By studying the colour of seabird guano in the infra red part of the spectrum the researchers from British Antarctic Survey (BAS), University of Cambridge and University of Edinburgh were able to identify and isolate the poo's unique spectral signature from bare rocks and snow. Applying this to Landsat Enhanced Thematic Mapper (ETM) satellite imagery, the team was able to identify all known major colonies of Adelié penguins, and colonies of several species of seabirds including Antarctic shags, snow petrels, southern giant petrels and skuas, among others. It also located a number of potential new sites. 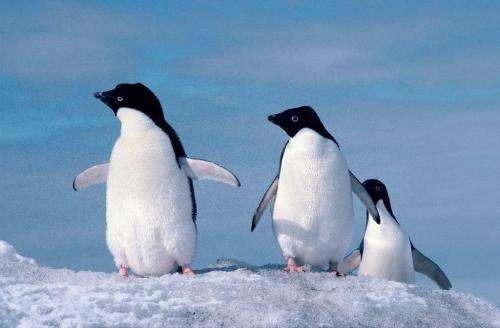 Lead author Peter Fretwell from British Antarctic Survey says, "Although penguin and seabird poo may look rather nondescript to the human eye, in the infra-red it has a totally unique colour. This has helped us to locate and map all colonies around the Antarctic Peninsula. What's exciting is that this method could be transferable to other parts of the world where remoteness and access restrict our knowledge of the distribution and abundance of bird colonies." The guano's unique signature was collected from studying satellite data and data from hand-held spectrometers on the ground. According to the Red List index compiled by the World Conservation Union (IUCN) the conservation status of sea birds has deteriorated more rapidly than any other species group since 1988, with 28% of species currently listed as threatened, of which 5% are considered to be critically endangered. 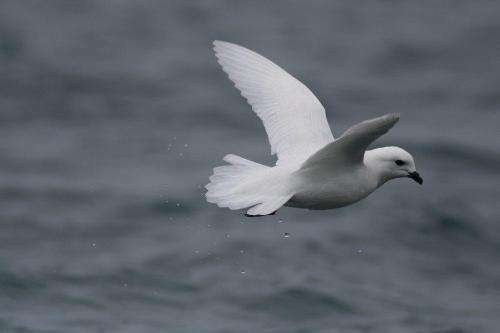 The team identified seabird colonies, including snow petrels. The work was carried out by British Antarctic Survey, Department of Zoology aRemote t the University of Cambridge and NERC Field Spectroscopy Facility at University of Edinburgh. More information: .T. Fretwell, R.A. Phillips, M. de L. Brooke, A.H. Fleming, A. McArthur, "Using the unique spectral signature of guano to identify unknown seabird colonies," Remote Sensing of Environment, Volume 156, January 2015, Pages 448-456, ISSN 0034-4257, dx.doi.org/10.1016/j.rse.2014.10.011.